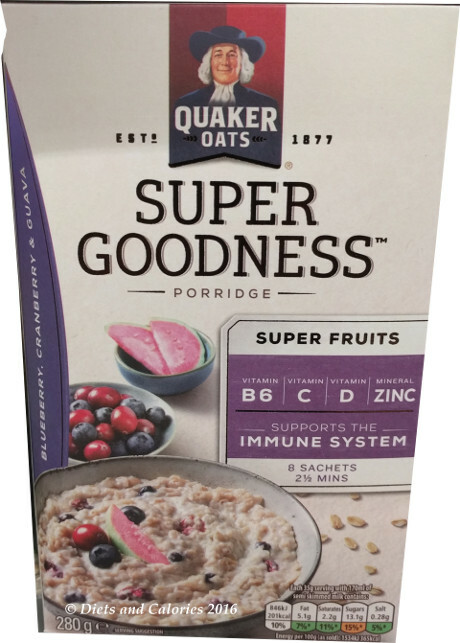 Just in time for the cold winter months when many of us like to start the day with a hot breakfast, here’s yet another new offering from Quaker Oats. 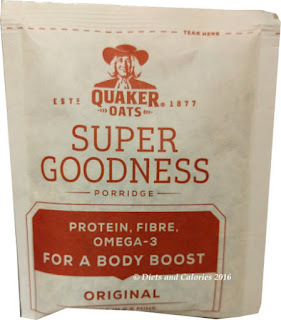 This quick and easy to make porridge is called ‘Super Goodness’ and is available in a box of 10 sachets. 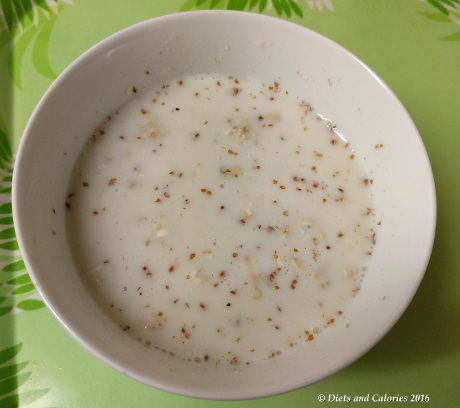 The porridge contains a mix of wholegrain oats, red quinoa, flaxseed and barley. There’s absolutely no added sugar, and each sachet made with water contains just 114 calories. 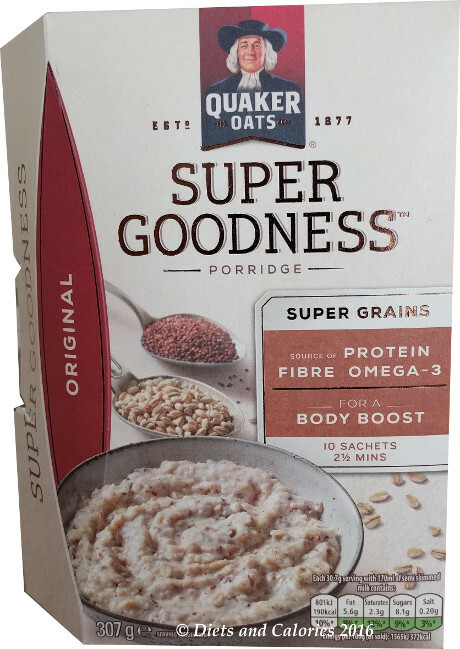 The packaging is a move away from Quaker's brightly coloured blue sky and wheat fields background, to a more natural, earthy look. 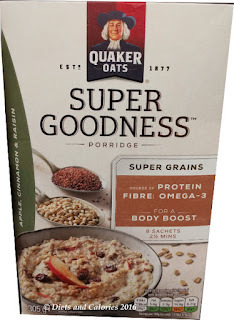 There are two other varieties in the Super Goodness range. These are: Blueberry Cranberry & Guava Porridge and Apple Cinnamon & Raisin Porridge. 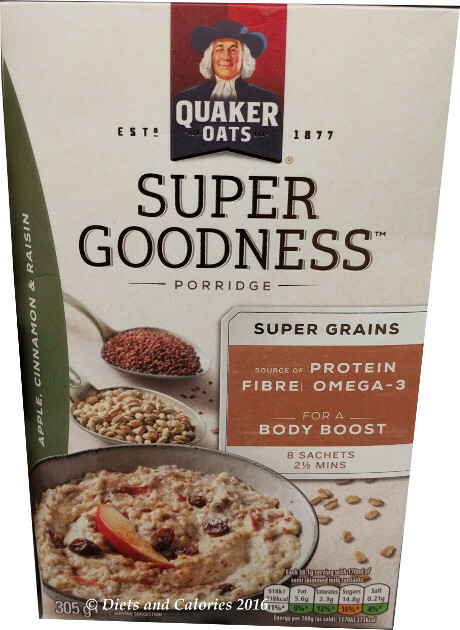 Like the Original Super Grains, these varieties also have a mix of oats, quinoa, barley and flaxseeds. While sounding delicious, they do have added demerara sugar. 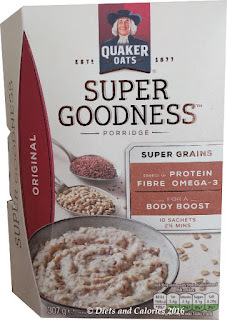 Since I’d rather be in charge of the amount of sweetness I want in my porridge, I opted to buy the Super Grains porridge. 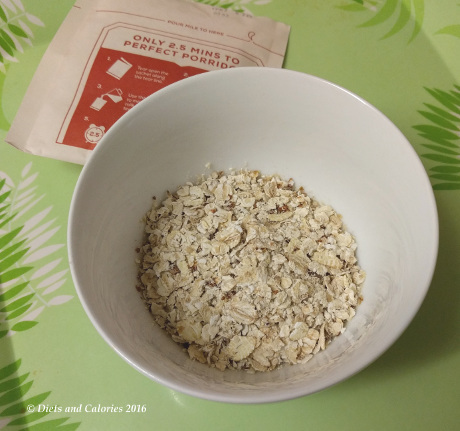 I don’t usually buy sachets, but I know my children prefer to make porridge from sachets as there’s no measuring involved – apart from adding milk in the empty sachet up to the fill line! I was really looking forward to this and prepared myself a bowl made with coconut milk. The instructions advise that your porridge will be ready in 2.5 minutes. It couldn’t be easier to make. Just tear open, empty the contents into a bowl, add milk or water up to the fill line in the empty sachet and then pour into the bowl. Give it a stir then pop into the microwave for 2.5 minutes. You can also cook it on the stove if you don’t like using microwaves. I found mine was ready in only 2 minutes and it was lovely and thick and grainy. After sprinkling on some stevia, a bit of extra ground flaxseed and adding some cashew milk, (which I’m crazy about at the moment), I dug in. It’s really lovely. Nice and chewy and very filling. And just the right amount for me. 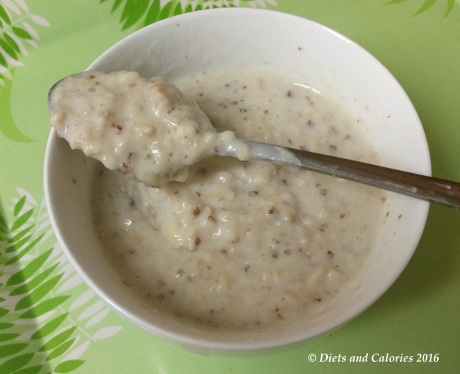 My daughters also tried it and both agreed it’s a nice alternative to plan oats as it doesn’t distract from the oaty taste that many others do. It provides a small amount of fibre and protein and a tiny amount of omega 3 from the quinoa and flaxseeds. 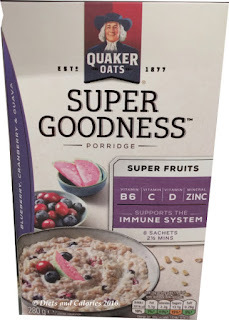 There’s nothing bad in here and I’d be happy to buy these again, especially as it encourages my kids to make breakfast in the morning before school. Available in major supermarkets costing £2.99 for a box of 10 sachets (at the time of writing). 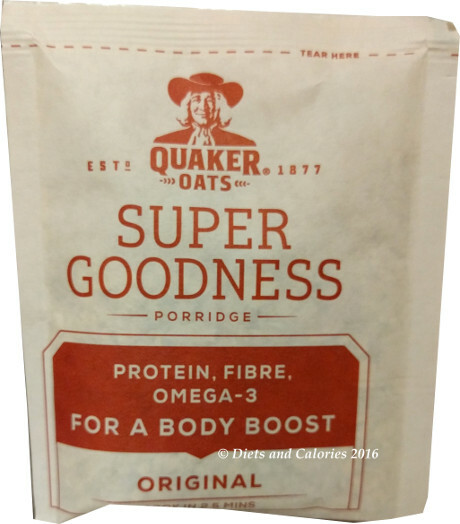 Quaker Wholegrain Rolled Oats (65%), Rolled Barley (13%), Rolled Quinoa (8%), Oat Protein, Oat Fibre, Flaxseeds (2%), Ground Flaxseeds (2%), Stabiliser (Soya Lecithin). 114 calorie, 2.8g fat, 0.5g saturated fat, 17.4g carbs, 0.3g sugars, 3g fibre, 4.3g protein, 0.02g salt.